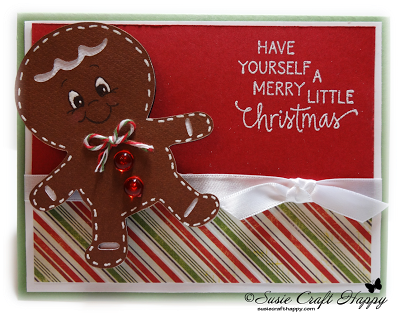 Susie Craft Happy here today, getting my wobble on with a cute little gingerbread man! I'm really stocking up on Christmas cards and this one just got added to my nice big pile! I cut this image from Cricut's Create A Critter 2 cartridge. The papers are from DCWV's Christmas Mat Stack and used the Queen's Royal Jewels to dress up this little guy a bit and to top it all off...HE WOBBLES!!! 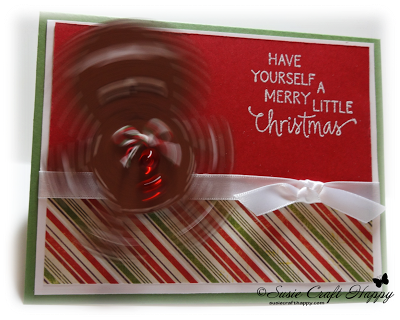 I thought having him wobble with this cute sentiment stamp was a neat idea. 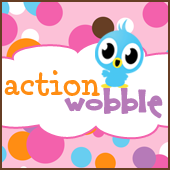 There's still plenty of time for you to get wobbling too, just order your Action Wobbles here. Thank you for stopping by today and be sure to visit tomorrow for more Action Wobble inspiration! I love that wobble gingerbread card! Thanks for sharing - I will be wobbling again today I can see - because I am inspired! Thanks for sharing!